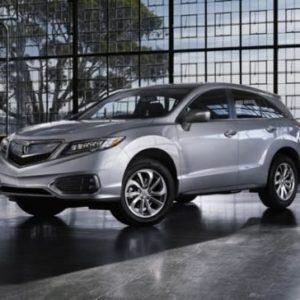 Acura RDX Performance Smooth and powerful. 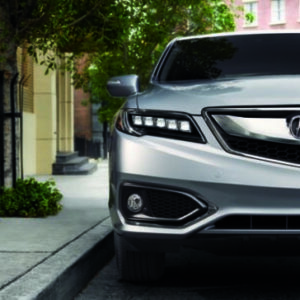 Acura RDX Technology The latest versions of everything. Acura RDX Interior The greatest luxury is knowing you have space. AcuraWatch The ultimate safety technology on our Acura RDX. The Acura RDX puts 279 horsepower*, 252 lb-ft. of torque* and a superb driving performance under the wheel. With the 3.5-litre, 24-valve i-VTEC 6-cylinder engine, you’re connected with V6 power, while the drive is enhanced further by the smooth power delivery of the Drive-by-Wire Throttle System. 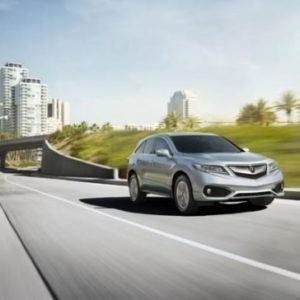 And thanks to the Variable Cylinder Management (VCM), you get help with your fuel economy when the Acura RDX shuts down cylinders that aren’t needed in certain driving conditions. Enjoy corner-carving confidence as you and your machine conquer dry pavement, rain or snow thanks to AWD with Intelligent Control System. Torque is split up to 60/40, directing a maximum of 40% to the rear, enhancing the sporty character of the Acura RDX at Acura Pickering. The vehicle is engineered to have exceptional traction, control and an incredibly intuitive response on pavement, for outstanding overall performance and handling. The fully independent front and rear suspension provides you with the exceptional handling and rigid feel you would expect from a high-performance sports sedan. The Amplitude Reactive Dampers are engineered to read driver input and road conditions to adjust your drive and suit the surface you’re driving on and exactly how you’re driving it. In addition, front and rear suspension components are designed to give an agile and secure feeling ride quality. Experience the thrill of race-inspired control at the touch of your fingers. Just behind the sporty steering wheel, you’ll find intuitively placed paddle-shifting transmission controls designed to add that extra boost of exhilaration to an already exciting 6-speed automatic transmission. For more responsive climbing or increased downhill engine braking, Grade Logic Control is designed to instruct the transmission to hold a lower gear when encountering steep uphill or downhill driving. Meanwhile, Hill Start Assist is engineered to help temporarily prevent the vehicle from rolling backwards when on an incline. 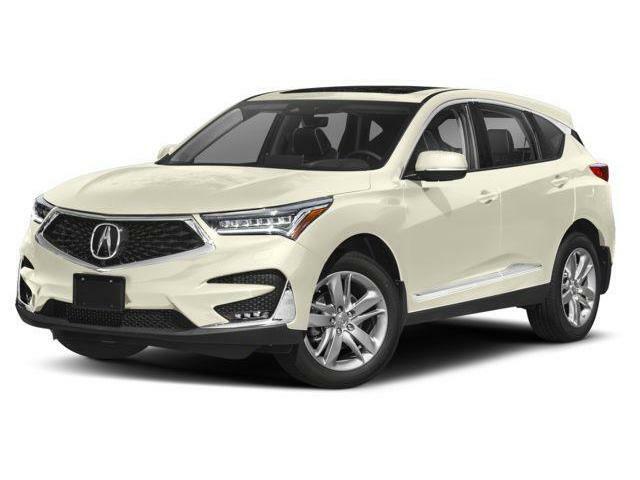 When finding your destination, the available Acura Navigation System with Voice Recognition can pinpoint your location almost anywhere in North America or access its onboard search directory. The system is equipped with bilingual voice recognition software and offers real-time directions by either voice or moving-map display. Just ask and the system can show you the most direct route to your destination or, with the Zagat Survey ratings, help you find a restaurant based on whatever you’re craving. 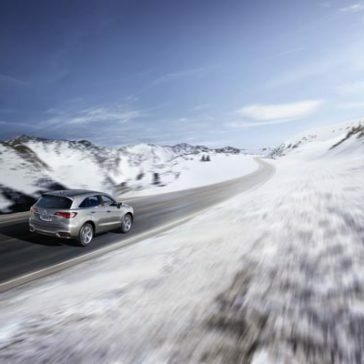 You can’t control the weather, but your Acura RDX is there to help. The RDX Technology Package comes equipped with rain-sensing wipers, which, when activated turn on automatically when the camera on the tip of the windshield senses precipitation. 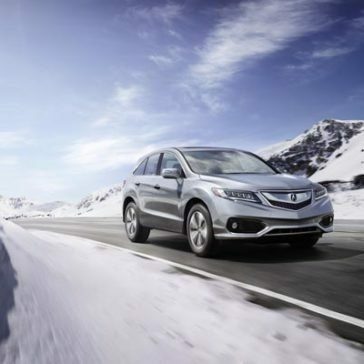 Plus, the Acura RDX can compensate for unpredictable elements. 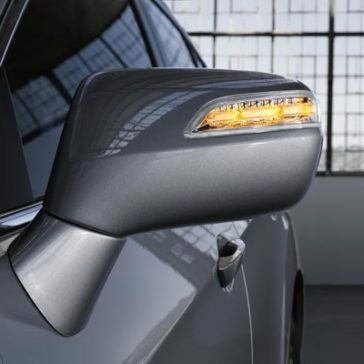 The RDX Elite Package comes complete with auto-dimming side mirrors to help prevent you from being blinded by the headlights from following vehicles. The Technology and Elite packages even include power-folding mechanics, for those times you find yourself parking in tight spaces. Think it, and it’s done. The available by-directional key fob allows you to communicate with your Acura RDX. When you send a request to the vehicle – lock, unlock rear liftgate open, or engine start – LEDs will light up on the fob confirming that the request was received. 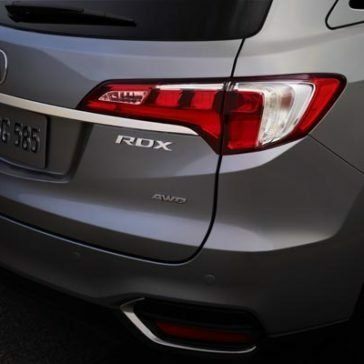 Smart entry with pushbutton technology allows you to enter your RDX and start the engine without having to take your key fob out of our pocket. That’s the power of connecting to your Acura RDX. 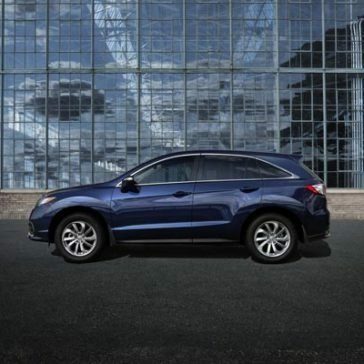 The RDX also takes safety seriously with the multi-angle rearview camera. Standard on all models, it helps to provide you with a clear view from behind your vehicle. 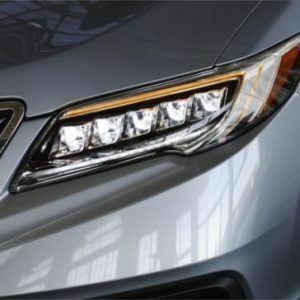 The image appears in the 5-inch colour information display or the 8-inch Navigation system display on the Acura RDX Technology and Elite Packages. Better yet, the Elite Package is equipped with parking sensors in the front and the rear to assist you when parking in tight spaces. 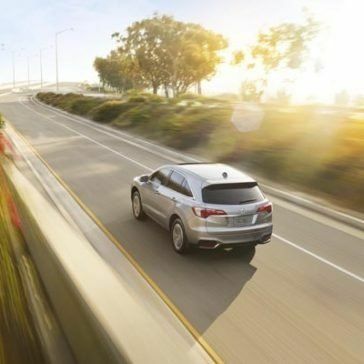 The Acura RDX is all about staying connected. Program and link your Bluetooth – enabled mobile phone to the HandsFreeLink interface to seamlessly make and receive calls over the vehicle’s audio system. Siri Eyes Free compatibility allows you to read and respond to incoming texts and emails, set reminders and alarms, get turn-by-turn voice navigation and even check the weather – all with your hands on the wheel. Sometimes, the greatest luxury is knowing you have space. 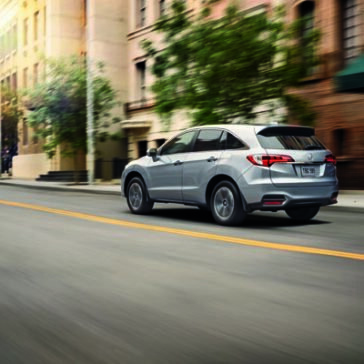 In the Acura RDX, there’s more than enough room for you and your active lifestyle. Easily configurable rear 60/40 split fold-down seatbacks make it perfect for handling things like a couple of golf bags or a couple dozen grocery bags. 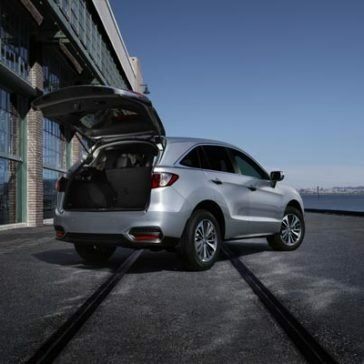 In fact, with the rear seats folded down, the RDX has 2,178 litres of cargo space. And the rear hatch – with its standard power tailgate – can easily be opened with the push of a fob button for simple storage access. 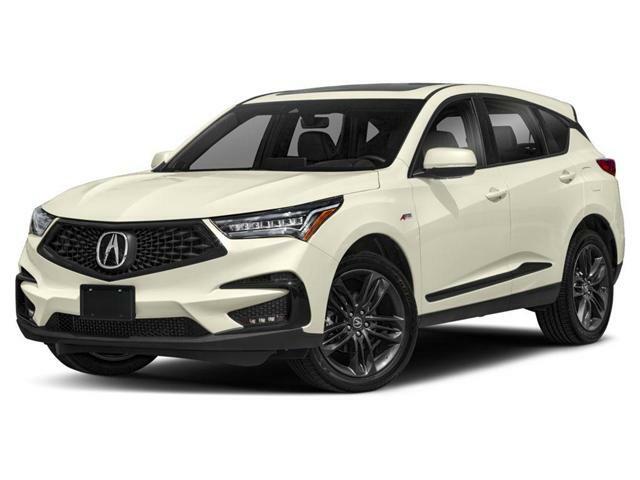 Like every other part of your Acura, the tightly bolstered seating accented with available perforated leather trim is engineered to keep you comfortable. What’s more, drivers benefit from an 8-way power adjustable heated seat including lumbar support and 2-position memory. 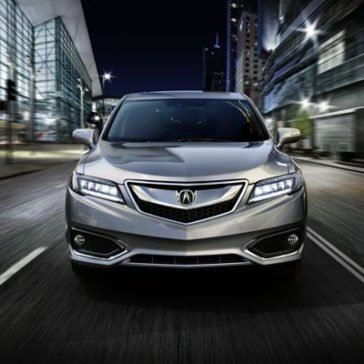 The front passenger has their own 8-way power adjustable heated seat, while the RDX Elite Package featured ventilated front seats. In the back, enjoy a standard centre console with vents for the utmost comfort. Plus, the Technology and Elite Packages are equipped with heated rear seats. Developed by Grammy Award-winning music producer Elliot Scheiner, Acura’s available ELX Surround 410-watt Premium Audio System transforms your vehicle into a personal soundstage – whether it’s Aha, SiriusAM or Bluetooth Steaming Audio. Between the studio-grade equipment and the purposefully quiet cabin, enjoy extended frequency range, lower distortion, enhanced clarity, and transparency to create an audio experience like no other. Let the sunlight (and moonlight) in. At the simple push of a button, the one-touch power moonroof will fully open or close. The tilt feature allows for controlled ventilation and the sliding shade lets you control the amount of light you want. 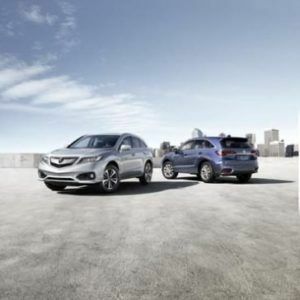 The Acura Lane Keeping Assist System builds on conventional lane departure systems to work proactively to help keep the vehicle inside the detected lane during normal driving conditions. If the vehicle begins to cross detected lane markings unintentionally, the system is engineered to apply light steering torque to return the vehicle to the center of the lane while a continuous beep alerts the driver. 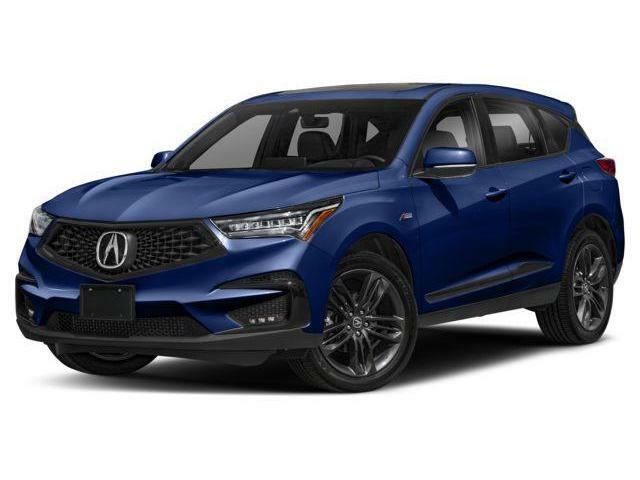 Should the Acura RDX begin to drift out of its detected lane without a turning signal being applied, the Lane Departure Warning system is designed to trigger both an audible and visual warning to alert the driver. This connection between vehicle and road is achieved through an onboard camera that is designed to monitor the vehicle’s lane position at all times. The Forward Collision Warning System and Collision Mitigation Braking System (CMBS) use a radar transmitter designed to determine the distance and closing speed of the vehicle directly in front of you and react accordingly when a programmed threshold is exceeded. Initially, the system warns you with audio and visual alerts. If speed is not reduced, the system is engineered to automatically begin braking to help reduce speed and mitigate the force of potential collision. The available Cross Traffic Monitor system incorporates the available Blind Spot Information system’s radar to help expand your field of vision by providing information about approaching vehicles that are in, or about to enter your blind spot. Should a vehicle be detected, this system is designed to provide an audible alert and display the warning on the standard multi-angle rearview camera. The Acura RDX has taken the conventional cruise control system and enhanced its benefits for the driver. 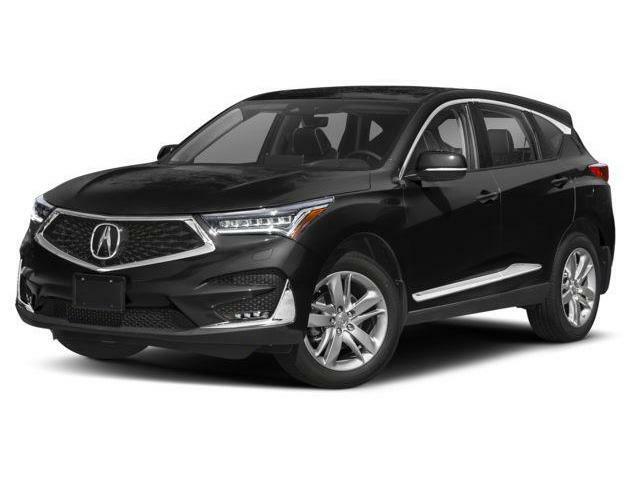 Using an advanced radar system hidden discretely behind the front grille, the Adaptive Cruise Control is engineered to allow theAcura RDX to independently follow the vehicle in front at a set distance and speed. 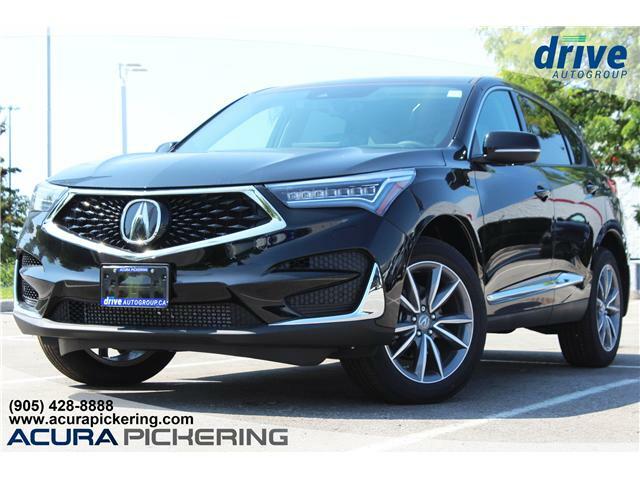 Acura Pickering proudly services and provides the both new and used Acura RDX models to Pickering, Toronto, Toronto, Ajax, Whitby, Oshawa, Bowmanville, Port Hope, Cobourg, Uxbridge, Stouffville, and Peterborough. *Horsepower and torque calculations reflect SAE net, Rev. 08/04, SAE J1349 procedures. ‡Subscription required. One year complimentary subscription to AcuraLink Standard, AcuraLink Connect, and AcuraLink Premium included, after which fees, taxes and other charges will apply in order to continue subscription. Ask your dealer for full terms and conditions.